Thailand, the land of smiles, is the conflux of food and culture. Apart from the picturesque scenes, what sounds more in the country is food and hospitality. 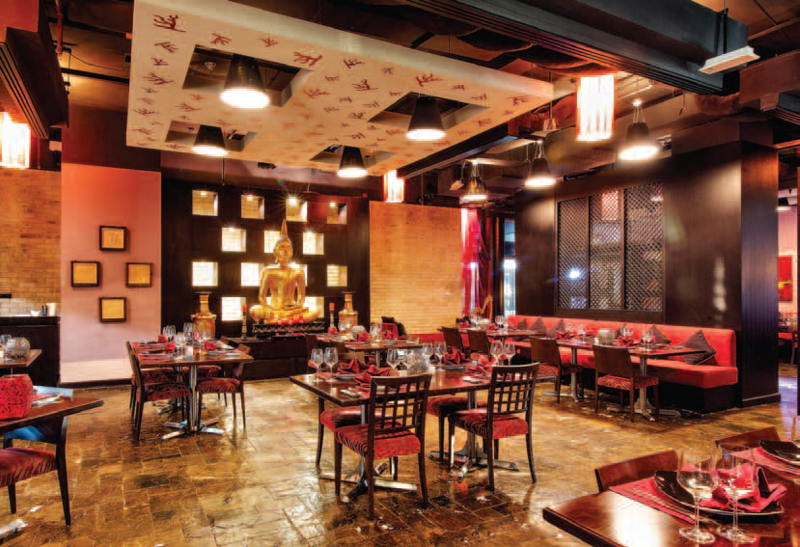 A visit to The Royal Budha at the Holiday Inn Dubai – Al Barsha is indeed a trip to the far eastern culture. Travel and Flavors Correspondent. Adorned with fuschia and black in dim light accompanied by authentic Asian music in the background, The Royal Budha at the Holiday Inn Dubai – Al Barsha appears to be stylish and romantic. The huge Buddha statue at the centre of the restaurant gives a royal touch to the entire area which will refresh you with its cozy and romantic ambience. The friendly approach of the staff makes you feel at ease and the detailing of the recipes increases your knowledge about Thai cuisine. While settling down, we were served a complimentary plate of rice crisps and a ginger flavored drink. 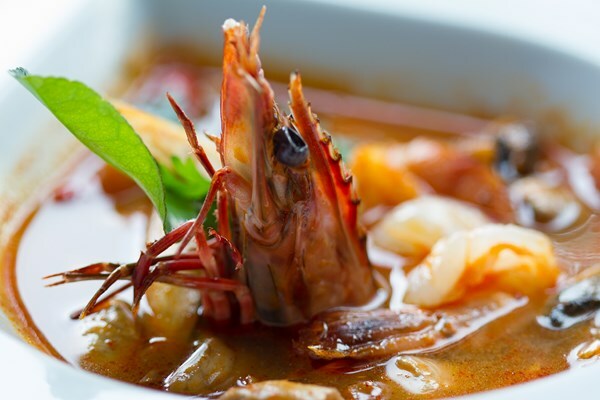 After having a glance at the menu, we ordered soup-Tom Yang Goong, a traditional spicy prawn soup with chili, lemongrass, galangal and lemon juice, as an appetizer. For the main course, I chose Nao Ka Manhory – wok fried sliced beef with broccoli and oyster sauce along with jasmine rice and also picked Goong Tod Kra Trim Prik Thai- wok fried prawns with garlic sauce. My friend ordered Kang Om Nuao- spicy clear beef curry with Thai chapu leaves. The former has more depth of flavor and slightly spicier which can be adjusted according to your taste buds. The beef is cut thinly and stirfried quickly and easily together with broccoli, red pepper and a delicious stir-fry sauce. The broccoli really works in this dish as it completely absorbs the sauce and provides a bit of crunch. And I could no longer resist and picked a fried prawn with my chopsticks. It was the finest prawn dishes I’ve tasted for a long time which was salty-sweet, garlicky, and a little spicy. No meal is quite complete without indulging in sweet delights of our choice. 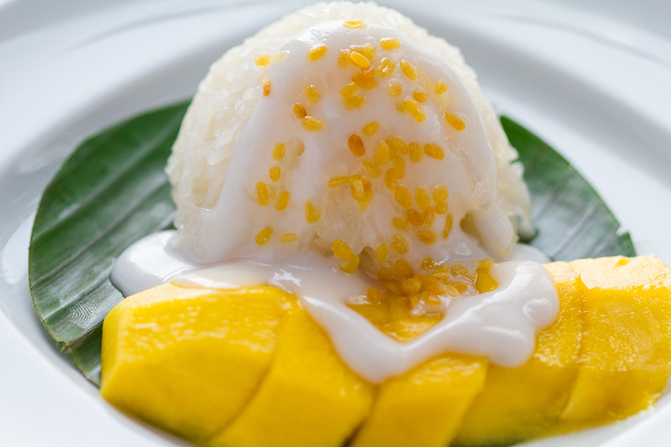 From the list, I chose Kao Neaw Mamuang- sweet sticky rice steamed in coconut milk with mangoes. This is classic Thai desert and is utterly sumptuous. On the whole, The Royal Budha gave us an authentic Thai dining experience. Sanya Waengdongbang, a Thai national, supervised the opening of The Royal Buddha and subsequently returned to his native land to learn more about Thai cuisine. Now with special training for presenting Thai cuisine in a contemporary style, Chef Sanya is back at The Royal Budha. 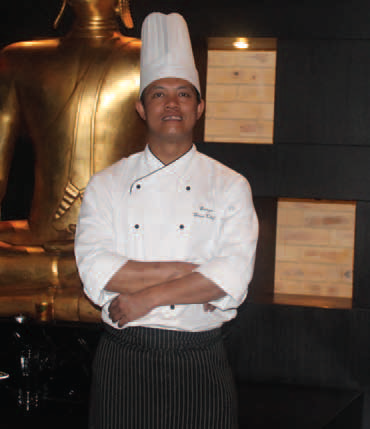 Sanya has spent 16 years finetuning his Thai culinary skills. 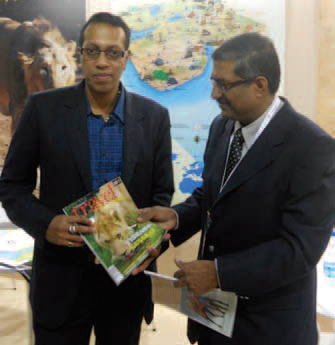 The November issue of Travel and Flavors was launched at the World Travel Market,London. 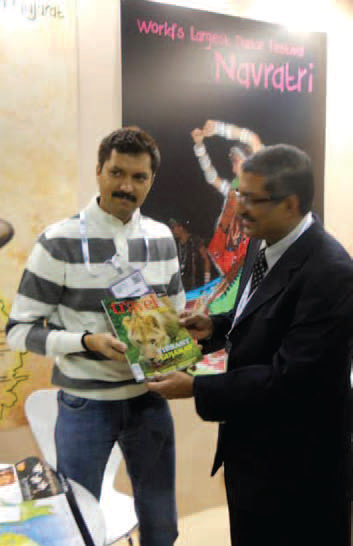 The special issue of the magazine was launched by Sanjay Kaul IAS, Managing Director, Tourism Corporation of Gujarat Ltd. on November 4, 2013. K Biswas, Manager Marketing and Investment TCGL was also present for the event. 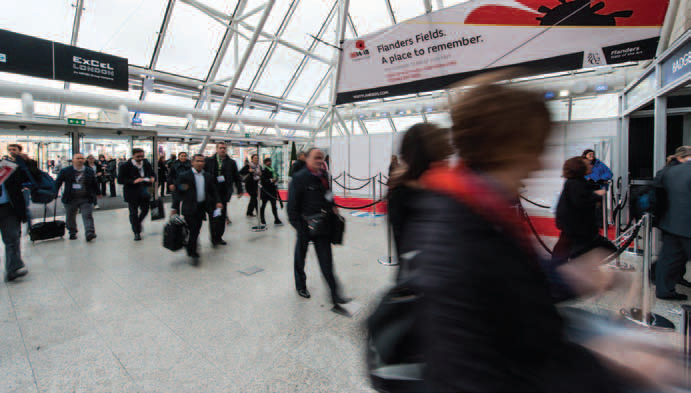 Delegates and Exhibitors arriving for an early start to the Final day of World Travel Market 2013 at Excel London.